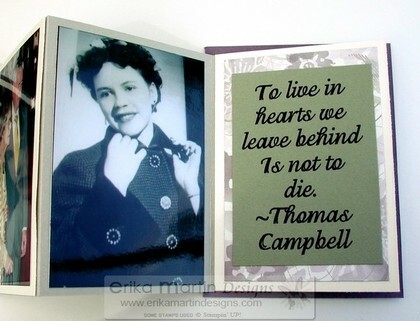 As many of you know, scrapbooking and memory keeping is one of my biggest passions. It's something I try to pass on to others. The new "Memories by the Month - Limited Edition Albums" is my way of helping you to make your memory keeping and scrapbooking easy, fast and fun! What is "Memories by the Month?" "Memories by the Month" is simply a listing on the first of each month of 10-12 limited edition albums on my Etsy shop. Once they're gone, they're gone. There's no club to join and no sign-up. 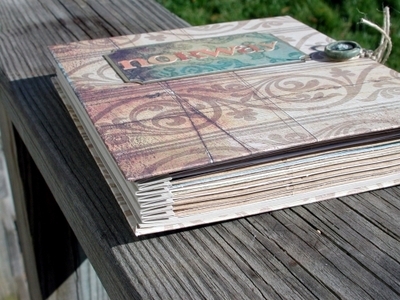 On the first of each month, I'll have 10-12 handmade, unique, limited edition albums listed in my Etsy shop for purchase. I'll send out an email to let you all know when they're up and available for purchase. Once they're gone, they're gone! So you don't want to wait! This month's albums are up and ready and they're BEAUTIFUL! 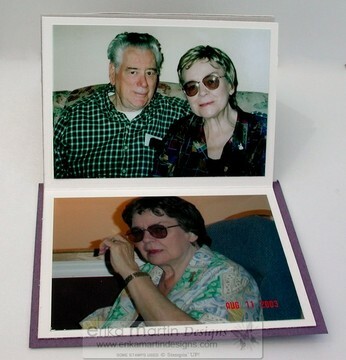 They feature hand stitched details, lots of texture, fabric, ribbons, felt, chipboard...and they're ready for you to put your photos and memories in. 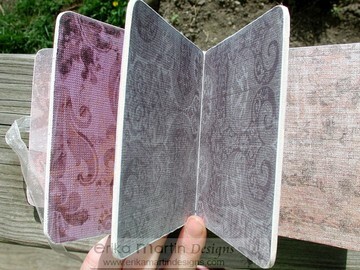 You can even use them as guest books or journals! 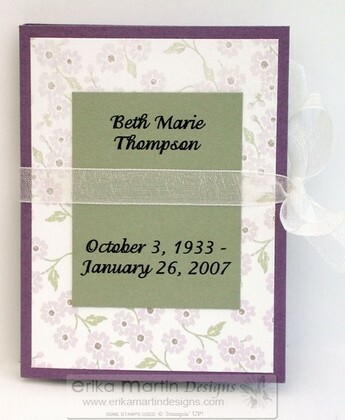 Each album has a total of 24 pages and are decorated with small fabric flowers with epoxy centers. 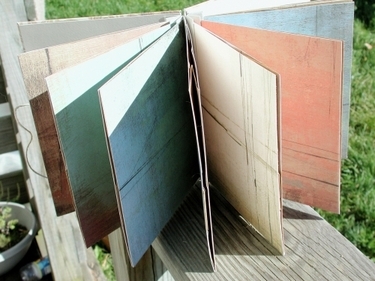 A fabric-covered chipboard back cover keeps your album sturdy. 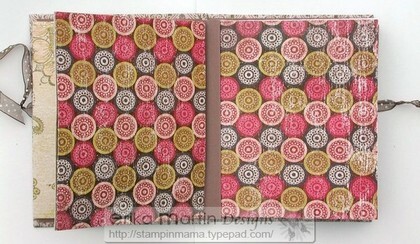 There's 10 different albums to choose from of all different colors and patterns. Remember, these are limited edition albums! Once they're gone, they're gone! 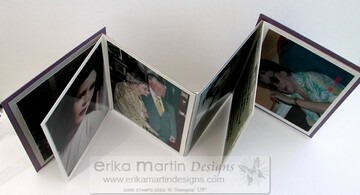 They're a quick, easy and beautiful way to get your memories in an album! 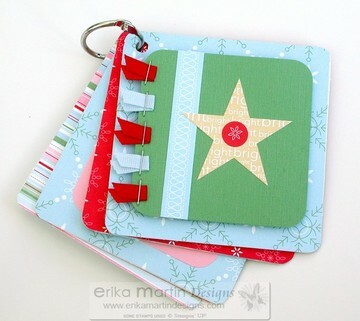 Coaster Mini-Books Trilogy Tutorial CD & To-Go Kits! You get 3 mini book tutorials in one CD.....or you can get everything prepped for you and ready to assemble in the To-Go kit! 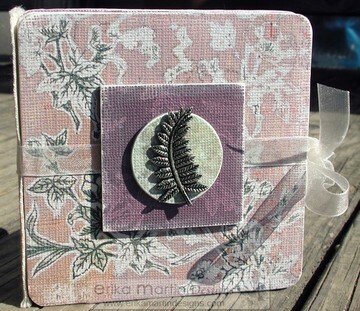 Click here for more details, more pictures and ordering information ---> Coaster Mini Books Trilogy Tutorial CD & To-Go Kit! The coasters I used were 4 x 4 coasters (which is a very common size) and covered them with the paper. 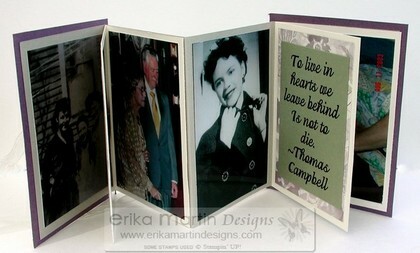 I thought this little book would make a great gift album for a grandma....or for a teacher's gift. 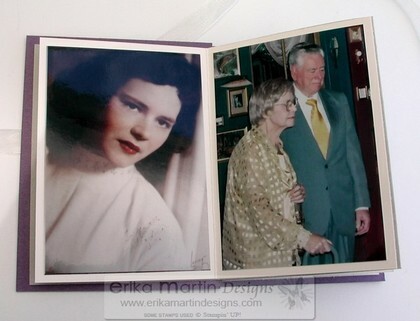 The pages are small, but they are perfect for wallet sized pictures and some journaling. You all know my habit for hoarding. Tis a nasty, nasty habit. I have all these lovely little (and some not so little) things to use on my cards, altered projects, scrapbooks, etc.....but most of the time, I like looking at them in the packaging and can't bring myself to use them. And then I wonder, "If I use this embellishment on a project, what happens if later on, I wanted to use it on another project? What if I can't get any more of that embellishment? What happens if I can't even find something CLOSE to that to replace it with?" 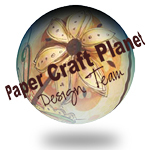 I create a "crafting panic attack" that probably isn't all that big of a deal in the larger scheme of things. It's amazing how many times I've bought a certain item to use on a project, put it away because I want to hoard it for that particular project and then when I actually sit down to make the project, I realize that I've hoarded the item away SO well that I can't even remember where I put it! I've gotten better about using the things I've saved for years, realizing that they're just gonna be there 20 years from now if I don't use them. It's a hard habit to break, but I'm getting there. So, what was the point in all of that? 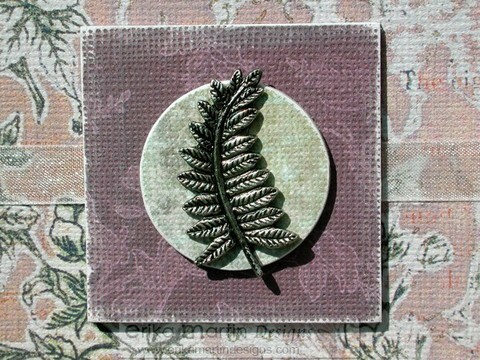 This little pewter finish fern charm. That's been hanging out in my bins for about *cough*5 years*cough*. I figured it was high time to use it. So there it is. 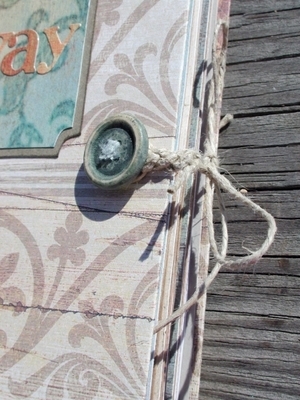 It's sitting on top of a couple pieces of chipboard shapes that were also covered with paper from the Old World Stack. 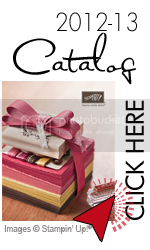 The book holds closed with a really pretty ivory narrow organdy ribbon. I covered the spine with an inked up piece of twill tape. 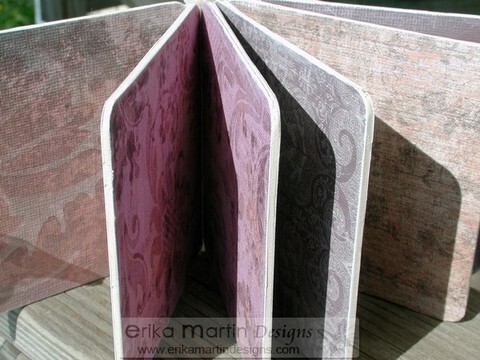 I still don't have pictures in this little book yet, but I have plans for it. One of these days.....one of these days. There's lots of new announcements coming up. I've got great news that I can't wait to share with you and hope that by the end of the week, things will be in place. Also, there are new releases over at GinaK Designs AND Kitchen Sink Stamps as of November 1st! Make sure to head over and check out what they're up to! FUN STUFF! Guess where I'm headed tomorrow??? I'll give you a hint.........well, okay, it's more than a hint. This pretty much gives it away. And being the organized person that I pretend to be, I even made myself a handmade scrapbook to take with me to capture my thoughts and feelings throughout the trip. Now, before you go and think that I do this for every trip I go on, I'll set the record straight so that no one disillusions themselves. :) This is actually the first time I've done this. Sure, I've thought about it with each trip I've gone on......to bring an album that I can work on while I'm on my trip. But it never goes any further than my thought process. This time, however, I was determined to actually make something and bring it with me. This is the result. It was a lot of fun putting this together and I finally broke into that Basic Grey Motifica Collection that I got AGES ago when I was working at Creative Habitat and got my 25% employee discount (gosh, that was forever ago). It's been sitting on my shelf, waiting for the perfect project, for at least 2 years now, if not more. When I decided to do an album to bring with me, I realized that this was the perfect project that my paper had been waiting for. This is actually a "paper bag book." Meaning: the pages on the inside are actually made out of paper bags. I got the idea from The Paper Bag Book, which is put out by Pine Cone Press. 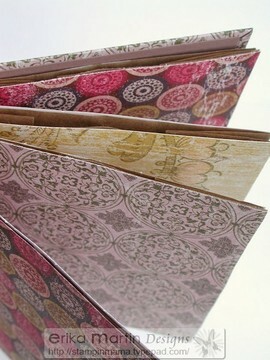 I used the Accordian Bag book instructions at the back of the book and tweaked them a little. I covered each of the bag-pages with some of the Basic Grey cardstock so that I could journal on them, as well as put pictures on them when I get them printed. The bags were left so that I could open them and put things inside of them....like boarding passes, train tickets, brochures, pamplets, receipts, etc. Even though this looks like a lot of work to put together, it was actually quite fun and therapeutic. I'm so excited to get started on it.....I can't wait to show it around to friends and family when we come back. 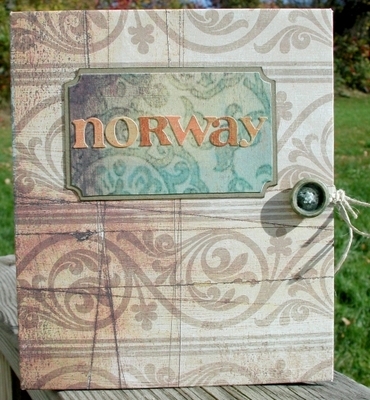 Talk about an easy way to get caught up on my scrapbooking for this trip.....do it on the go! Now that I've done one, I'm going to have to make MORE! It was just TOO much fun.....and I have another pack of Basic Grey paper sitting on my paper wrack....the Sublime Collection. My parents drove up late last night and will be staying with the kids while Davy and I go to Norway. My parents are the BEST! (Hoping my mom reads this so I can bank up my "brownie points.") They'll be staying at our house while the kids go to school each day. The kids (click here to see pics of the kids) are SO looking forward to it! They've been counting down the days till Opa and Nana got here. Tomorrow, Monday the 9th, my sister is driving us north of Boston and we'll be taking the commuter rail and subway to the airport (since the tunnel collapsed and it's impossible to get to the airport that way). I haven't even started packing yet and we're leaving at noon time. I've been busy getting things in place business-wise for while we're gone, along with getting things in place to make things as easy as possible for my parents and the kids. Oh, and the new picture of me at the top of my blog was taken Friday night. :) My dreads are coming along SO nicely. I've added beads.....LOVE EM! This is a project I actually started about 2 years ago. It's been a while since I took it out and continued working on it. 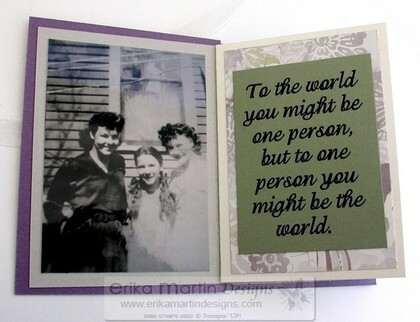 I started this as an example for a class I was teaching on tag-books. Funny how an example became more about me than about something done simply to show around to the students for example's sake. 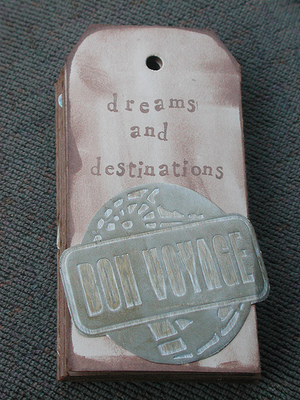 This tag book is called "Dreams and Destinations" because it's all about my "wanderlust." There are so many places I want to see and things I want to do when I get there. This little book is a quick snap-shot of some of the places I'd like to go. Because it's been 2 years since I started this, I've since been to 2 of the places in this little book. 2 down, 3 more to go. Of course, there's MANY more places that I'd like to see, but I could only fit a few in this small book. 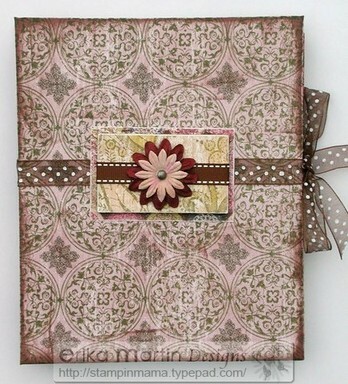 I started with a sheet of brown 12x12 cardstock and used a tag to trace out a pattern. 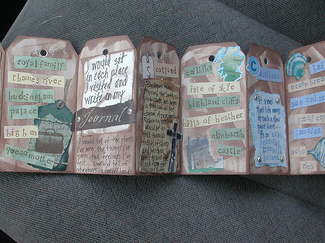 I created two strips of tags next to each other (5 tags for each strip) and adhered two of the end tags together from each strip.....which gave me a total of 9 tags across in an accordian style. Then I took a brown chalk pad and applied the ink directly to the cardstock from the pad ("Direct-to-Paper" technique). I used a lot of stickers from the Stickopotamus Destinations Line and roughed them up a bit with some sandpaper. I'm not quite sure where some of the other stickers came from as it's been a while since I started the project. I also used some cardstock stickers (I think they were Karen Foster brand) and some collage art that I found. I used strips of cardstock and stamped on them with small alphabet stamps (Hero Arts) with the names of places and things I want to see. When this project is finished (which shouldn't be too long from now...I only have 3 more pages to go), it will have fiber tassels tied through each of the holes on top of each tag. I'll post the pictures of the finished project when it's completed.